First cut a 6" x 9 1/2" piece of pink card stock and fold it in half for the base and a 4 1/2" x 5 3/4" piece of white for the front layer. It's been over a year since I made this (of course I didn't write anything down . . . nooooooo that would be waaaayyyyyy too easy lol!) so I'm not exactly sure of what colors I used. I'll give it my best guess (all are Stampin' Up! colors). First stamp the background (I used a stamp from my Gorgeous Grunge set) in Pink Pirouette ink. Then color each chick on the chick stamp a different color using either markers or ink pads with a blender pen (I think I used Daffodil Delight, Mint Macaron, Lovely Lilac and Pink Pirouette inks) and using a Stamp a ma jig stamp directly on the background. 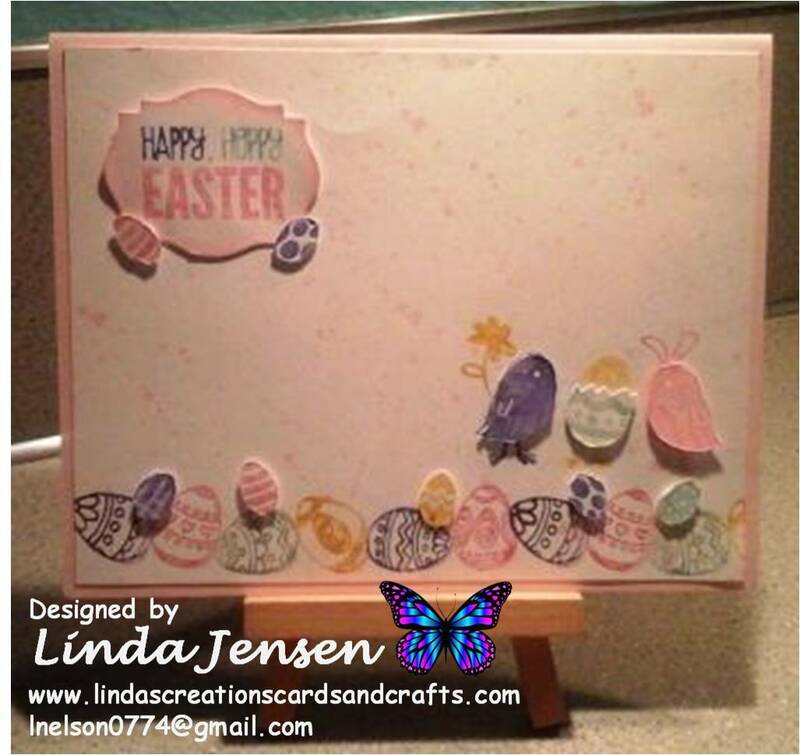 Next create a 3D effect by stamping the same image on scrap paper and cut out both chicks and the egg then attach them over the previous images using mini pop dots. Then stamp the bottom edge either using individual eggs or a border stamp. I'm not sure who made the border stamp that I used as it doesn't have any identifying marks on it. Then color the eggs on the egg border stamp from the For Peeps' Sake set a different color, stamp it on a piece of white scrap paper, cut them out then attach them to the front layer with mini pop dots. 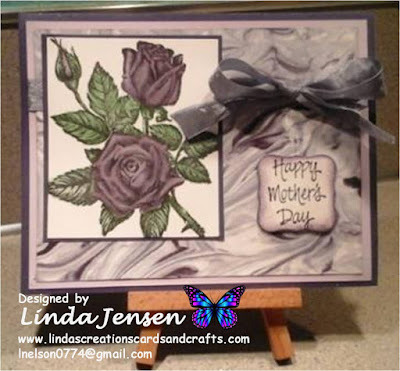 Next create the die cut for the sentiment using a Spellbinders Labels Eighteen die, sponge the edges in Pink Pirouette ink and stamp the sentiment as shown by coloring the stamp with markers . Then all you have to do is attach it with a mini pop dot, attach the front layer to the base and enjoy! Pleases let me know if you have any questions, I'm always happy to help. I always appreciate any comments or suggestions that you'd like to share. Thank you for stopping by, have a great day!